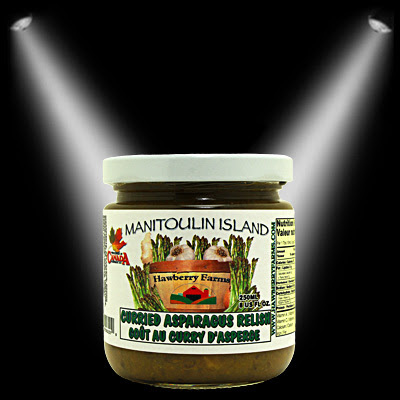 Mix Hawberry Farms Curried Asparagus Relish and the cheese. Mash the potato, add salt and mix well. Divide the mashed potato in equal sized balls and flatten them. Put a spoonful of chutney and cheese mixture at the center and roll them. Make sure the rolls are sealed properly. Roll them in the breadcrumbs. Deep fry the rolls and serve them hot.